Crema Sahara Marfil is a type of marble made from limestone deep within the earth due to years of heat compression that causes the minerals to melt and reform, creating a new type of rock. 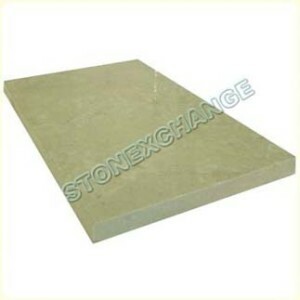 Crema Sahara Marfil is simply a classification of the color from which the marble has formed into. Because marble is naturally formed, there is no one type of Crema Sahara Marfil. As the area has much to do with the kind of marble being formed, different areas within the earth are prone to create different variations of Crema Sahara Marfil. These variations can differ in color, vein pattern as well as the end result of a man-made finish. However, the material will still have the same look. It’s just about how selective you are in your choice of Crema Sahara Marfil. Some could care less. Others may not want a lot of veining in their tile. If they do, they may prefer the color of veining to be a bit more on the darker side rather than the lighter, or vice-versa. Why even spend the money on a premium threshold such as marble when one can drive down to his or her local home improvement store and get a flatbed worth of standard thresholds for half the cost? The reasoning being that the best investment any builder or contractor can make is to incorporate marble thresholds into a build. Some independent contractors or builders on a strict budget may argue that they cannot afford to purchase a bulk amount of marble thresholds or that they don’t have the type of clients who are willing to pay for premium building materials. Another reason, which can arguably be the primary excuse, is that they cannot afford to stock marble thresholds because they don’t have the budget to install marble flooring. There are many builds, particularly in the Miami area where marble thresholds have been installed along with carpet, wood flooring, or other types of inexpensive tile—and it works! No matter what type of flooring you choose to install into a build, using standard aluminum material to seal different types of flooring can only get better. If you consider past builds, there were many designs where the most expensive material within it’s category—whether it’s carpet, laminate, tiles, hardwood, or stone have been connected by standard threshold material made of either wood or some other type of metal—and…it worked! The problem has often been that these thresholds wear out overtime and need to be replaced, ultimately costing owners of these new builds money.So just because you may not be able to afford marble flooring doesn’t mean that you cannot install a Crema Sahara Marfil marble tile threshold into a build. Marble is a water-resistant material. Therefore, marble thresholds are perfect for bathroom and kitchen doorways. Of course, this would only be beneficial if the threshold is mounted in verses a flush installation. Even with a flush installation, the neutral tones of Crema Sahara Marfil, whether the veining is close to a dark cinnamon color or a light brown, is guaranteed to complement any type of floor choice. It will definitely bring another level of sophistication into a build better than any metal threshold could. Furthermore, marble is a durable material. It’s stone; another guarantee that these marble thresholds will last!Its organic color design makes it a versatile building material that can most likely be reused for new flooring choices. Crema Sahara Marfil marble thresholds can also be incorporated for other uses that can bring an entire space together. Thresholds are already pre-cut, the most common size being 2 x 36” with a ¼” bevel depending on state requirements. Other common widths are 4” or 4 1/2″, 5″ or 6”. The standard thickness of a marble threshold can have the following measurements: 3/8”, 1/2″, 5/8″ or 3/4″. Stairs – For decorative purposes, Crema Sahara Marfil marble thresholds can be installed into the risers of stairs. They can also be installed on the tread, but it is recommended to get a rougher finish to avoid any slip and falls. Showers – This is where mounting a threshold at the bottom of a shower stall would come in handy. This type of design can be seen in high end hotels and spas built to keep water from seeping out from the shower and onto the floor. Border – Another decorative feature Crema Sahara Marfil marble thresholds can be used for is as a border to separate a large space or even to frame built-in shelves. Skirting board (base molding)- Crown molding has been seen as an old world design, bringing a royal type of architecture to a space. Substituting a wood base molding for a Crema Sahara Marfil marble threshold will bring a regal finish to any space. Shelving – Based on the measurements, one might not be able to display their best sellers or first edition books, but theses marble thresholds can still be utilized as smart and stylish shelving. Small trinkets and heirlooms, crystal candlesticks and seasonal decorations can be displayed on these marble thresholds. Wall decoration – The different classification of Crema Sahara Marfil can come in handy for a designer looking to create an exquisite accent wall. By aligning different classes of Crema Sahara Marfil thresholds, one can create a neutral, yet splashing looking wall feature that can complement anyone’s design choice. Now that you know of other creative ways to use Crema Sahara Marfil marble thresholds, why not order a palate with you next order? Stonexchange is located in Miami, Florida. We work with nationwide shippers to provide our customers with reliable service and prompt deliveries. We can deliver anywhere in the United States, offering quality thresholds at wholesale prices. Call our team today at 305-731-2400 or visit us online to place your order for quality marble thresholds now!